 WHAT IS THE MARINE MAMMAL PROTECTED AREAS TASK FORCE? The Marine Mammal Protected Areas Task Force (MMPATF) was created in 2013 by the International Committee on Marine Mammal Protected Areas (ICMMPA), the International Union for the Conservation of Nature’s (IUCN) World Commission on Protected Areas (WCPA) Marine Vice Chair, and members of the IUCN’s Species Survival Commission (SSC) to help support a stronger global profile and to provide a stronger voice for the MMPA constituency within IUCN. The goal of the MMPATF is to facilitate mechanisms to encourage collaboration, sharing information and experience, accessing and disseminating knowledge and tools for establishing, monitoring, and managing MMPA and promoting effective spatial solutions and best practices for marine mammal conservation within MMPA. From 2016-2021, the Task Force will be focusing on setting up a series of regional workshops to identify Important Marine Mammal Areas (IMMAs), beginning with the Mediterranean in 2016, followed by the South Pacific, the Northeast Indian, the Northwest Indian and the Southeast Pacific oceans, and the waters of Oceania surrounding Australia and New Zealand.